An introduction to the indomitable avant-garde saxophonist, Arcade Fire collaborator and Aphex Twin enthusiast. Polish cellist Resina and saxophonist Colin Stetson may play radically different instruments, but in their approach to layering sound, constructing sonic cathedrals with repetition and drone, is a kindred spirit. On her sophomore recording Traces, released by Fat Cat’s 130701 imprint this month, Resina pushes beyond the fragile movements of her self-titled debut to expose the harsher, more elemental registers of the cello, just as Stetson explores the full spectrum of the saxophone, from breathy overtones to its most guttural vibrations. To mark her release, and with Stetson’s soundtrack to Hereditary (following last year’s brilliant All This I Do For Glory) out now, Resina has summoned 45 minutes of Stetson’s work for a high-decibel mix that you can listen to below. 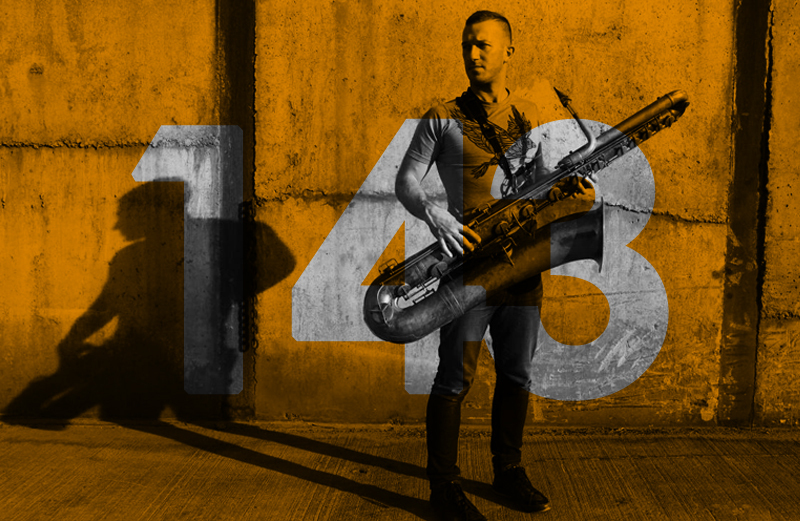 “A few years ago, when I was seriously wondering if there was any sense to make an album dedicated to a solo, acoustic instrument in the 2000s, out of the blue I ran into Colin Stetson’s second solo album, New History Warfare Vol. 2: Judges.